I wrote a while ago about Kodak's changing business model. Part of Kodak's strategy was to create standards for digital printing. Yesterday, six printer manufacturers announced that they will support Kodak's standard. Dave Fletcher points out that Oklahoma City is building a 400 square mile Wi-Fi network at the cost of $78 million. As Dave says "Wow!" What's sad is that this is just for public safety--no citizen access as far as I can tell. Even if it were, they' still wouldn't be able to do any interesting broadband projects that involve significant bandwidth, such as video. Utopia opponents were always saying "Wi-Fi is cheaper and will obsolete fiber." This proves them wrong. 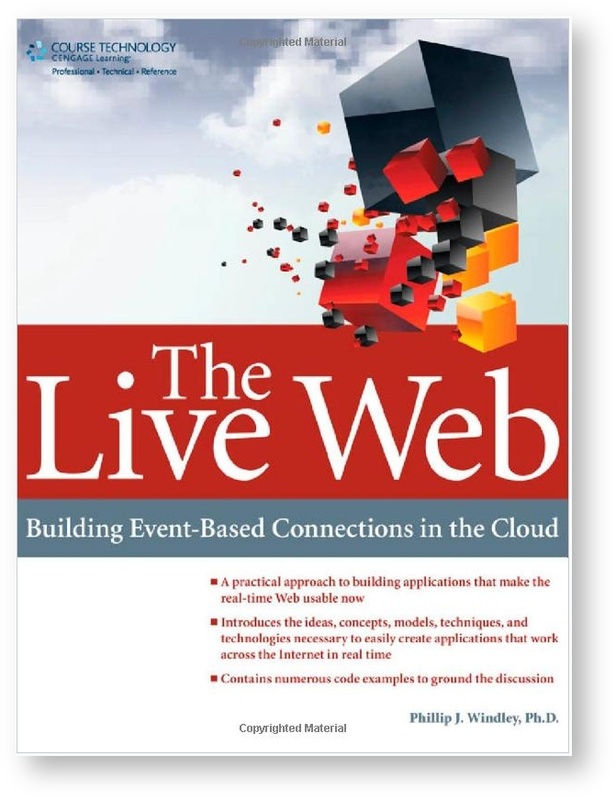 My preview of LiveServer has been published at InfoWorld. I'm working on a full-blown review now. I've had two different companies approach me in the last week and ask me if I knew where they could find good Perl programmers. Both are paying gigs with people I trust. If you know Perl and you're looking for a new opportunity, let me know. I find myself explaining RSS a lot these days. When I spoke at the IT Seminar last week only a handful of the hundred or so students who were there raised their hand when I asked if they knew what RSS was. The problem is that its like trying to explain HTML, rather than the WWW. Rafe Needleman of c|net News has a video that explains RSS along with some other resources. I've added it to my RSS resources page. I felt like my talk at the IT seminary went fairly well. There were a lot of people there. As promised, here are my slides. Warning: the file is large and there's not much text (mostly pictures) so they may not mean much if you weren't at the talk. I'll be speaking at the weekly IT seminar tomorrow in the Crabtree building (BYU) at 11am. I'll be speaking on the topic of "connected computing." I'll post slides here later for anyone who's interested. Brian Sweeting has a smackdown comparing the Bush and Kerry Web sites. If the technical merits of a Web site are any indication, Kerry sweeps it according to Brian. California is pushing data center consolidation among other things. Meanwhile Utah has its own data center consolidation issues. People continue to talk about it but until the legislature decides its time to stop allocating money for new data centers, they'll keep getting built. The Dept. of Corrections is building one in Gunnison, just up the road from the State's back-up data center in Richfield. Dave Fletcher, who runs the Richfield data center, is working hard to make it an attractive alternative for State agencies so that they won't build their own, but apparently that's somewhat threatenting to some Dept. Jon Udell writes about using accountability to augment access control. Jon is working from Dan Geer's script. Dan has said that accountability scales linearly while access control scales at least as the square. For many applications, simply being able to audit what's happened to a resource (who accessed it, where was it sent, etc.) is sufficient and that's a lot cheaper than trying to build access control lists for every resource in your enterprise. September's CTO breakfast will be this Friday at the usual place and time (more information). Pete Kruckenberg of UEN has requested that we spend some time talking about how we can get a regional exchange point started in Utah including the technical hurdles, business benefit, and political realities. Pete's been working on this for a while. Maybe the timing's right now--especially with UTOPIA getting off the ground. I think that's a fascinating topic; come and add your thoughts and voice to the discussion. Y Mountain with a light dusting of snow. The mountains had snow on them down to about 5500 feetthis morning. That's only about 1000 feet above the valley floor. The picture on the right is Y Mountain that I took this morning. You can just see a light dusting of snow in this picure. The heavier stuff is behind clouds. Y Mountain, just east of BYU, is actually something of a foothill, Provo Peak (11,068 ft) sits right behind it, but is obscured from view in this picture. Andrew Grumet has a handy little Perl script for creating an RSS feed, with enclosures, of the contents of a directory. Cool. In a piece entitled The Rumors of Sender ID's Demise Are Exaggerated, Yakov Shafranovich explains the recent IETF decision on SenderID. His conclusion is that SenderID in its current form is dead, but there are compromise solutions that are not. When I saw this puff-piece for the monopoly telecom providers in Wired a few days ago, I didn't bother to point it out because I'm frankly tired of debating the issue. Doc's done a nice job however: "It isn't just competition, dudes. It's service. Here's what we want from that service, in addition to speed: Symmetry, and lack of restrictions. No port 80 and port 25 blockages, for example. We want anybody to be able to set up a business, or do whatever business they already have." Indeed. Changing Business Models: Will Kodak Make It? Is SenderID Dead or Just Not a Standard? The IETF rejected Microsoft's SenderID proposal for dealing with Spam because of concerns over intellectual property. The schedule of sessions for Digital ID World is out. There are some interesting talks and some good people. Looks like the conference will live up to its reputation. One of the topics I try to discuss throughout the semester in my Engineering Large-Scale Internet Applications course is performance. It can be a difficult subject to discuss because of differences in terminology. I've put together a page on Internet application performance to serve as a resource on the topic. I'll be adding to it from time to time. My dentists sends me reminders of my appointments using SMS. They're generated automatically from his appointments software. Maybe I'm easily impressed, but I thought this was a good example of the right message on the right medium. Yakov Shafranovich has a two part article (part 1, part 2) at CircleID on the collision between Microsoft's proposals regarding Spam, intellectual property concerns, and open source software. The point of the article is that Microsoft is asserting IP rights regarding some proposals on Spam and trying to make everyone feel better by freely licensing it. That's not really going to cut it for most people. I don't blame Microsoft for looking for IP, that's what many companies do, but it seems that this is an unusual place to do so. O'Reilly's Policy DevCenter has an interview with Ernest Miller on Orrin Hatch's proposed INDUCE act. I wish I knew what Orrin was thinking here, because I think its bad public policy. 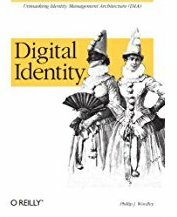 O'Reilly will be publishing my book on digital identity. I plan to be done writing the end of November. I don't know when it will actually be out. I'm looking forward to working closely with the folks at O'Reilly. I'll be giving a tutorial on digital identity the first day of Digital ID World (Oct 25-28 in Denver). I really love this conference and have always had interesting discussions with other attendees in addition to some super sessions. Digital ID World has offered readers of this blog a $200 discount on the conference fee. Just enter show code WIND0200 when you register. Meanwhile if you have thoughts about what a tutorial on digital identity just has to have in it, let me know.